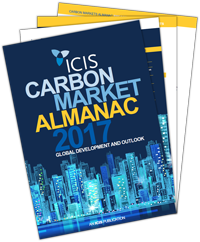 The ICIS RGGI Carbon Portal is a blend of qualitative analysis and a suite of inputs and outputs from ICIS’ Timing Impact Model (TIM) which include price forecasts, fundamental data and company specific behavior data. The ICIS RGGI Carbon Portal gives you an advantage in the market by helping you identify risks and understand what drives participant behavior in the RGGI market. Our team of expert analysts understand better than anyone the way you want to view information because they’ve been there. As well as providing the inputs and outputs of the Timing Impact Model to subscribers (that you can feed into your own analysis), we also explain what the data means. We don’t just leave it there. Our team is also available to customers by email, phone or chat to answer questions.